The scheme utilises the existing promenade shelter and includes a new upper level designed with transparency in mind to maximise and enhance sea views from and through the building. 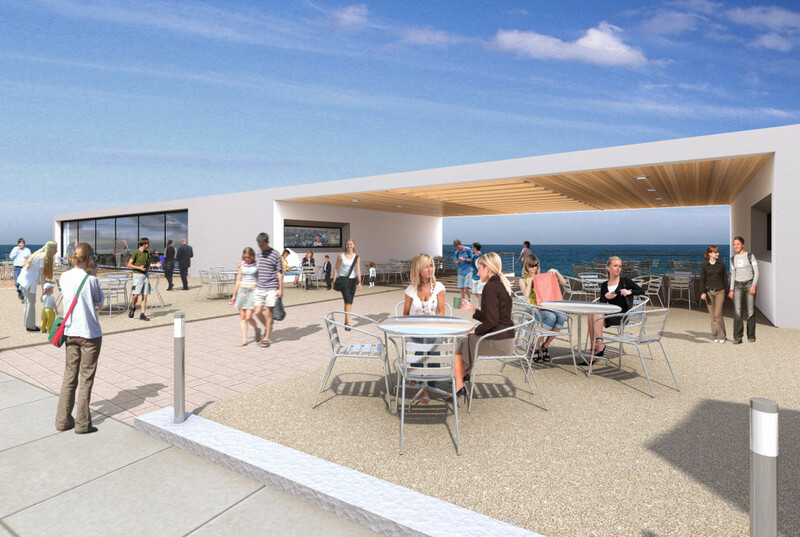 One large restaurant will be provided at first floor level along with a series of smaller units on the promenade are also available to let. 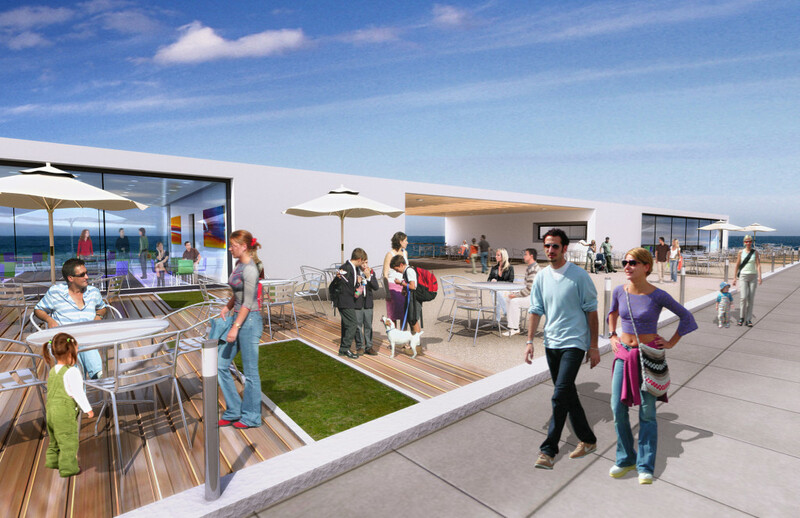 The building will act as a catalyst and a benchmark for the Seaburn seafront regeneration master plan. 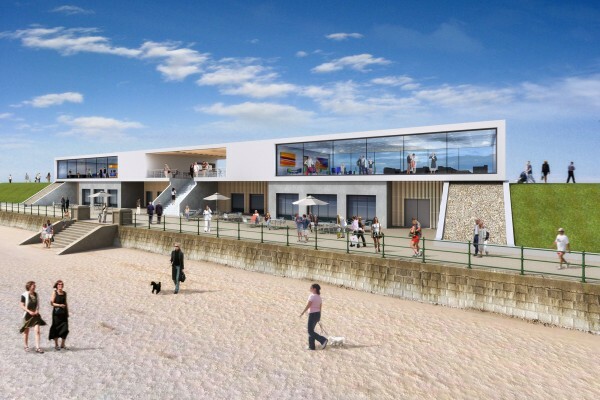 Fitz Architects were appointed by the client to submit a design proposal as part of a design competition set by Sunderland Council. Having been chosen as the successful candidate and obtaining full planning approval we were then novated to the Main Contractor (Meldrum Construction) under a design and build contract. 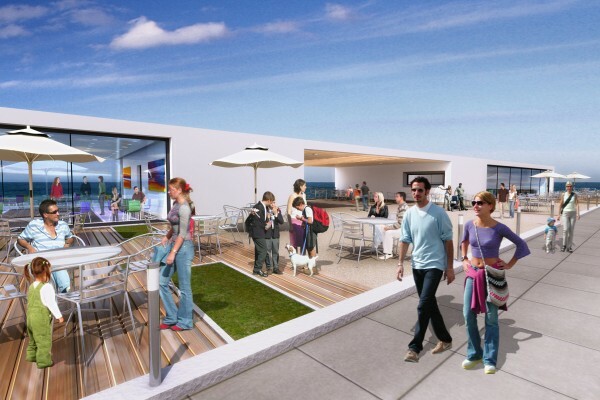 There were a number of challenges that needed to be over come which included building above an existing concrete building ‘The Shelter’ and locations of underground drainage at promenade level which involves a pumping station, a main storm sewer that runs beneath the external terrace at Whitburn Road level and a rising main that runs through the building. 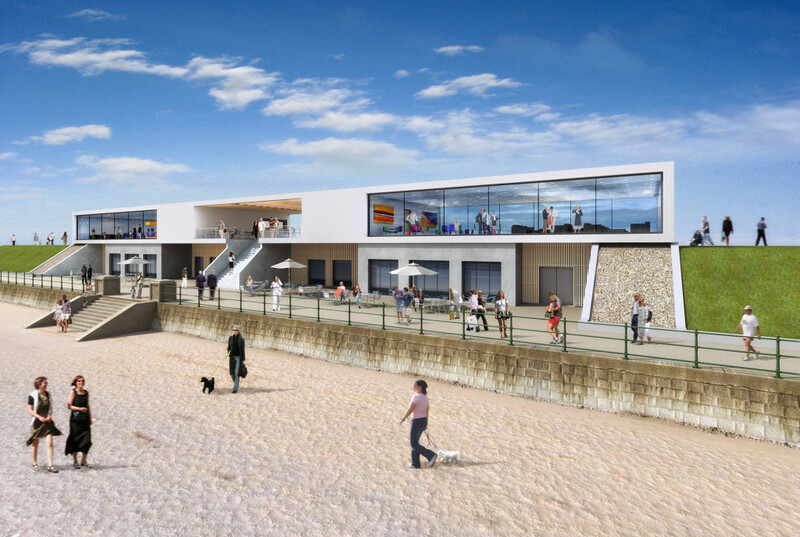 The development contains a 600sqm restaurant / bar development for Fat Buddha at first floor level and a new RNLI head quarters / public toilets and a Changing Places facility accessible from the promenade.